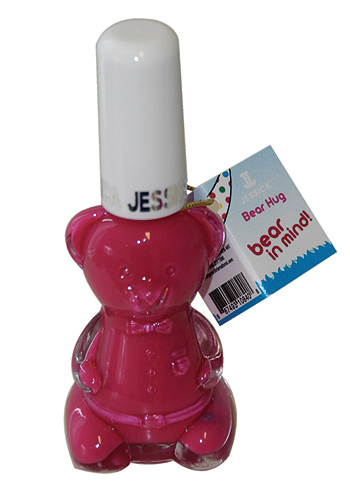 Pudsey is an iconic figure associated with BBC’s Children in Need and Jessica Nails have released a limited edition collection of bear-shaped bottles timed to appear alongside this year’s campaign. 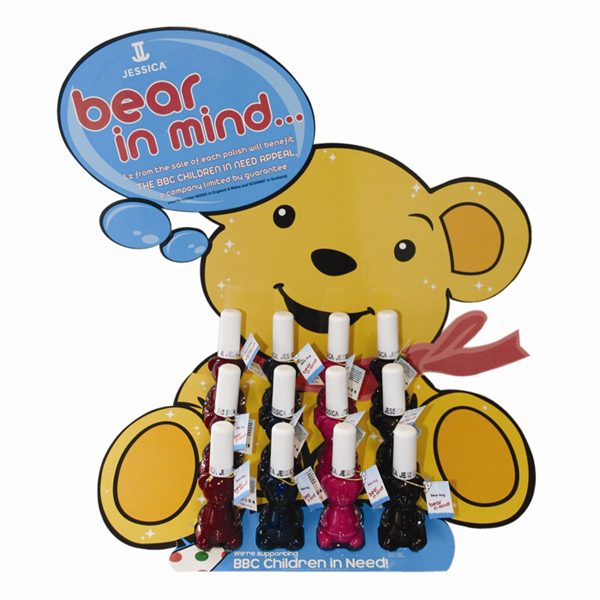 Each bottle sold will raise £2 for the BBC Children in Need Appeal. I’m partial to a bit of “midnight blue shimmer” and if I can indulge whilst supporting a very worthwhile cause, even better! Hello! I keep meaning to ask you… what was the name of that GOSH polish you had on as a top coat… you did show us, but I’ve forgotten. I’ll tweet you this Q too. @Sarah Smith – plus they look pretty darn cute in the collection! Thanks Lizzard, great tag – I’ll try and get it done!